Hillary Chybinski: Cleaning. . .it's not just for spring. Cleaning. . .it's not just for spring. Many years ago, when I worked a corporate job, I had a cleaning person. She was wonderful and came to see us once every two weeks. The days Audrey was here, were my favorite to come home, as the floors shone, and everything smelled great. For 10 years, I never looked back. Our wonderful cleaning person even came with us when we moved 2 miles away from our original home. I couldn't imagine a life without her. But between the sagging economy of a few years ago, I left the corporate world and began my new career from the comfort of my home. In light of that, we made a financial decision to let our cleaning person of 10 years go. . .I was in pain. I prefer one thing a day to 3 hours of cleaning on the weekend. And it's worked out really well. Over the years, I've made some modifications and I add that day's activity to my daily to-do list, so I also get the sense of accomplishment when I finish it and cross it off. I also have a "pretty" version laid out on a back page in my Planner to remind me. Got any great cleaning ideas? What works at your house? That sounds like a great idea, doing one thing each day Hillary! I have a cleaning lady. She used to clean my parents house and she's like a family friend so I can't imagine life without her for a lot of reasons! But she doesn't come that often so in between her visits I just do as I need. Which really just includes doing the toliets (you know how boys are!) and vaccumming. Usually I do a bit on the weekends each weekend. I love your idea of a set schedule though - I bet that will really help you keep on top of things! So sorry you had to let your cleaning lady go. I have always had "side" cleaning jobs and when I got cut back to 4 days a week at my "office job" I was lucky enough to find 2 great cleaning jobs that i rotate so every other friday I have a paying gig :-). 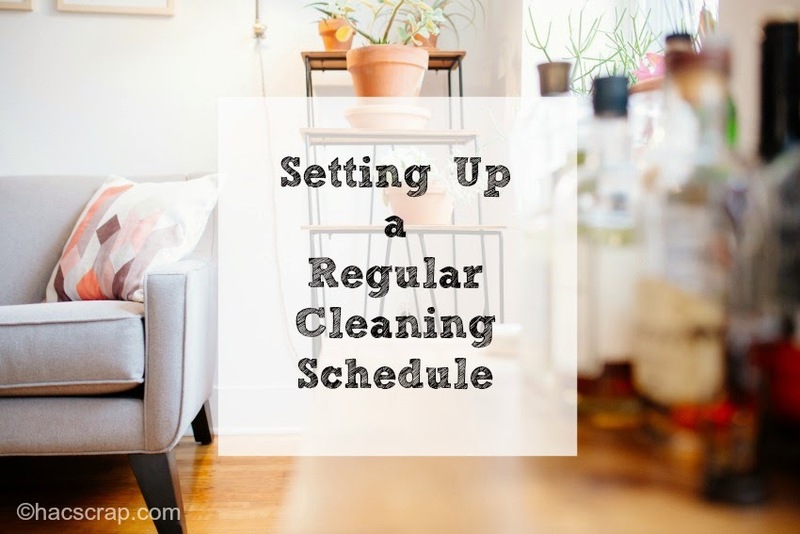 Your plan sounds great and my biggest thing at home is to clean as you go as much as possible...a few minutes here and there are definatly more manageable than the 3-4 hour burst. Also de-clutter as much as possible...less to clean around. Magic erasers are a gift straight from the heavens! I also think its easier to keep cleaning supplies scattered where needed around the house, so that you dont have to go hunt down the supplies and then come back. A bottle of windex and scrubbing bubbles or wipes and toilet brushes in all the bathrooms. Wipe down the showers and sinks as you finish. I could go on for days about this but those are a few tips I have adopted myself. Good luck! Thanks ladies - our cleaning person has been coming every other week - so mostly twice a month - and we do the rest in between. And she is like family - it's tough. With luck - it's a temporary change. . .